The Aquarium is celebrating National Volunteer Week. In 2013, our 938 adult Aquarium volunteers and interns donated over 100,000 hours towards our mission of protecting the blue planet. In posts all week, we're highlighting some ways that people donated their time to the Aquarium. Today's post is about live blue™ Service Corps leaders. The Office of Volunteer Programs and Internships is excited to announce the 2014 Service Leader class! These dedicated individuals will spend the next year and a half learning to design, implement and lead volunteers during field service projects throughout the Greater Boston area on behalf of the New England Aquarium’s live blue ™ Service Corps. This year’s service leaders come from a diverse range of backgrounds and history of involvement with the Aquarium. Each one of these leaders has demonstrated a commitment to service, leadership, and protecting the blue planet. The live blue™ Service Leaders will focus on bringing the Aquarium’s mission to the community and a whole new group of volunteers. In preparation for this role, Service Leaders will attend an 8-part workshop series and attend service events with the goal of developing their own service projects and leading volunteers in the field. The 2014 Service Leaders range from full time staff members to individuals who have never before volunteered with the Aquarium! We’re happy to have them on board and can’t wait to get started. My name is Casey Galante and I am a new member to the aquarium family, serving in a new position known as a live blue™ Service Leader. I've lived in Boston for six years now, first as an architecture major at Wentworth Institute of Technology, and now as a full-time professional. Coming from New York, I didn't have the opportunity to explore the Aquarium on school trips like many of my college classmates had. After finally visiting the Aquarium my sophomore year, I realized how important it was to Boston and to the visitors that waited in line to see all the magnificent inhabitants that call the Aquarium home. Once I graduated from college last May, I decided to seek out information on becoming a volunteer. So many opportunities flooded into my email, but I found that the time constraints from working a full-time job made it difficult to be able to commit. I still wanted to get involved, but it wasn't until I received an email about a new initiative called live blue™ Service Corps, did I get excited about a possible position that seemed perfect for me. We are extremely lucky to have a resource like the Aquarium right in Boston. It is hard to comprehend how much our local Aquarium is involved in with projects all over the world. I'm excited to begin my adventure with the Aquarium and my new responsibilities as a live blue™ Service Leader. I believe that it is up to us as volunteers and community members to serve as ambassadors for the ocean and take responsibility for our personal imprint upon the environment. I hope that as a service leader I can reach out to people within the large 18–25 age group in and around Boston, involved and interested in the mission of the Aquarium and like-minded organizations. I look forward to learning new things, expanding on my experiences as a leader, meeting as many new people as possible, and inspiring others to make a difference. As a Service Leader I plan to coordinate service opportunities that are fun and exciting and allow volunteers to get a different view on how they can help. I hope to see you all at a future volunteer event! Please don't hesitate to contact myself or the Aquarium for information or future volunteer opportunities. Deanna is a former intern in the Office of Volunteer Programs and Internships. Her commitment to and passion for service is longstanding and includes spending two of her college breaks volunteering in New Orleans and even led one of the projects in 2013. 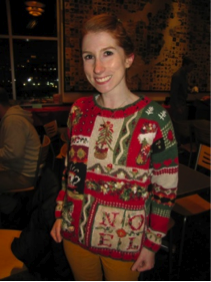 Currently, she serves as a Foundations Associate at the Union of Concerned Scientists in Cambridge. Laura is a current Visitor Education volunteer on Saturdays and works as an attorney for a local law firm during the week. She grew up in Massachusetts and attended Boston College where she was an active member of Ecopledge, a student organization designed to increase environmental awareness in the student body and administration. 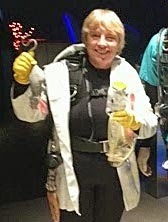 You can see Ken at the Aquarium on Mondays during his shifts on the floor as a Visitor Education volunteer. Ken works at Trader Joe’s, is a vegan chef and loves to fish. His commitment to service and volunteerism is something you see the moment you meet him! Casey is new to the Aquarium but has a long history of volunteerism and service ranging from volunteering in New Orleans after Hurricane Katrina to leading orientations as a student at Wentworth Institute of Technology. You read about Casey and why she became a service leader above! Erinn volunteers on Saturdays in Quincy as part of the Rescue and Rehabilitation team. Though she is currently based on land as an Individual Giving Assistant at Harvard School of Public Health, she has spent time at sea as an at sea monitor and lead biologist on fishing vessels for National Marine Fisheries Service. 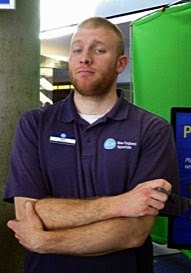 Noel works at the Aquarium as a Visitor Assistant/Educator and is a former Marine Mammal volunteer. During his time at Emerson College Noel volunteered as an orientation leader and served on the board of the SPEC student screenwriting organization. He has a degree in media production and is an ice breaker extraordinaire! 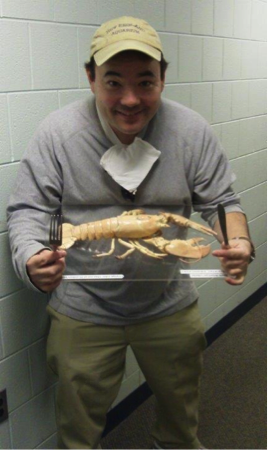 John joined the Aquarium in January 2014 as a Visitor Education January term intern. A current student at Endicott pursuing a degree in environmental science, John has volunteered as a Weymouth Youth Soccer Coach and ran a soccer drive to send soccer equipment to Haiti after the earthquake. Anna spends her Saturdays with Myrtle in the Giant Ocean Tank and in addition to being the Secretary for the New England Aquarium Dive Club. 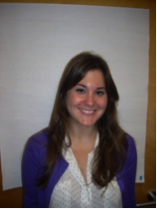 Originally from Poland, Anna received her Ph.D. in biochemistry and currently works as an application scientist. She has a passion for beach cleanups, especially ones that happen both in and out of water! 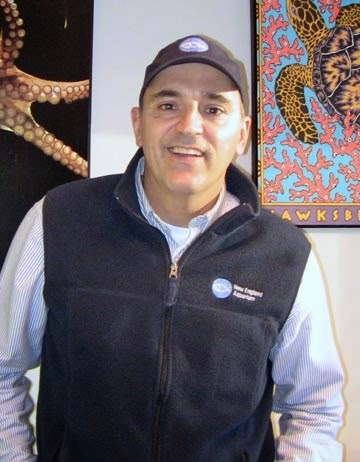 Tony has been in charge of the Aquarium's media relations since 2001. He has developed stories about the Aquarium that have been picked up by thousands of worldwide media outlets and has ensured that the work done at the Aquarium has a regional, national and global impact. In addition, Tony has been the Program Director for Thompson Island Outward Bound and a firefighter for the US Forest Service! Sharon is a Monday Visitor Education volunteer, a Boston Cares Volunteer Leader, and holds board positions at a number of different nonprofits. She’s interested in develop projects targeted towards cleaning the waterways that feed into the Charles River. Kate is new to the Aquarium family but is no stranger to the Boston area. 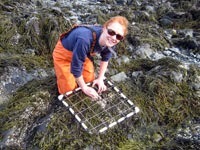 She is currently pursuing her PhD in Ecology, Evolution and Marine Biology with Northeastern University. In addition to her studies, Kate has volunteered as a science tutor with Girls Incorporated of Lynn, a Teaching Laboratory Volunteer with the Museum of Science, and a Bottom Trawl Survey Volunteer with the National Oceanic and Atmospheric Administration Survey Branch in Woods Hole, MA. Paula spends her Saturdays in 50-degree water as a Penguin Colony volunteer. When she isn’t feeding the penguins, Paula is an Access Services Specialist with The First Church of Christ, Scientist in Boston. In addition to being a certified EMT, Paula has volunteered with organizations such as Pets on Wheels, the New England Wildlife Center and the MSPCA. 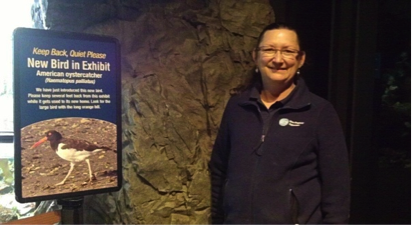 Donna has spent time in a number of volunteer positions during her time at the Aquarium but was most recently a volunteer in the Penguin Colony. She is currently an office administrator but her passion lies with service. Most notably, Donna is a ski instructor/guide for visually impaired adults! Meaghan volunteers with the fur seals, sea lions and harbor seals on Saturdays. In addition to volunteering, Meaghan works as a Dog Playgroup Attendant and Assistant Manager at a dog daycare in addition to attending the Harvard Extension School pursuing a Masters degree in Ecosystems and Sustainability.